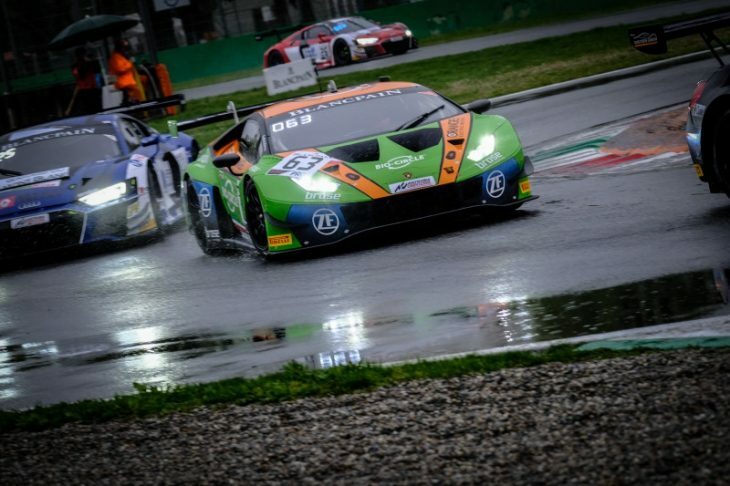 A sodden Monza circuit played host to the Blancpain GT Series Endurance Cup’s first qualifying of the year, which saw drama aplenty. 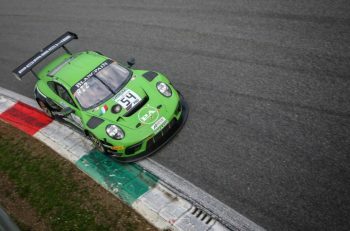 On pole for this afternoon’s race is the #63 GRT Grasser Lamborghini of Mirko Bortolotti, Christian Engelhart and Rolf Ineichen, whose collaborative time was a 2:05.295. This result is largely down to a phenomenal lap by Bortolotti in the most treacherous conditions of the day at the end of the first qualifying session. The Silver Cup-entered #90 AKKA ASP Mercedes of Nico Bastian, Timur Boguslavskiy and Felipe Fraga will start second courtesy of a 2:05.743 average time, in front of the #2 WRT Audi of Dries Vanthoor, Ezequiel Perez Companc and Alex Riberas (avg. lap 2:06.156). The #90’s closest class challenger in Silver Cup starts fifth; the #78 Barwell Motorsport Lamborghini of James Pull, Jordan Witt and Sandy Mitchell helped up the order by a stunning, session-topping performance from Witt in Q2. The #88 AKKA ASP Mercedes of Raffaele Marciello, Michael Meadows and Vincent Abril rounds out the overall top four on today’s grid with a 2:06.252 average lap time. PRO-AM will be lead away by the #97 Oman Racing Aston Martin; Salih Yoluc, Ahmad Al Harthy and Charlie Eastwood will begin their race from 21st on the grid. Meanwhile, in 31st overall, the leading AM car will be the #77 Barwell Lamborghini of Adrian Amstutz, Leo Machitski and Miguel Ramos. 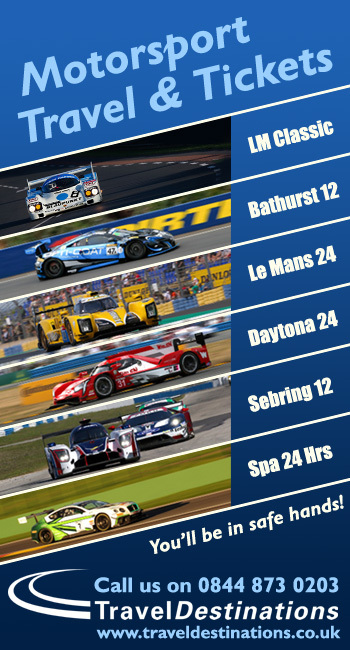 With over a half dozen red flags across the three sessions, there were, of course, many incidents. Porsches looked tricky on the power in the rain, exemplified almost immediately by Benjamin Goethe in the #20 GPX Racing example, who speared into the outside barriers on the front straight while exiting the pits, triggering a red flag at the halfway point of the first session. The #52 AF Corse Ferrari of Louis Machiels crashed into the barrier on the exit of the second chicane during Q2. The car ended up crabbing back to the pitlane under the red flags. Did he fall or was he pushed? The #17 WRT Audi of Paul Petit had otherwise unexplained front-end damage, and it would later be confirmed that they had collided. Sadly, the car would also be done for the weekend, with news filtering through that the car is irreparable thanks to chassis damage. Hardly had the session restarted when it stopped again. No one got a flying lap in before the #31 Team Parker Bentley of Rob Smith (now sans front bodywork after a collision with the barriers coming out of Ascari) had to be rescued alongside Tomas Antonio Forne in the #29 Raton Racing Lamborghini, who had lost the car under braking into the first chicane. Ultimately, teams and drivers had a session of just over five minutes in Q2, courtesy of the stoppages. While it looked to be a clean session at first, a red flag ultimately waved with three and a half minutes of Q3 to go thanks to the #10 WRT Audi of Ricardo Sanchez. The session would ultimately not be resumed after this red flag. 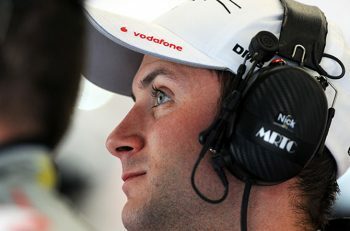 Hopefully, the only full withdrawal from the race courtesy of qualifying dramas will be the #17 WRT Audi. The three hour Blancpain GT Series Endurance Cup opener will begin at 15:00 CEST.